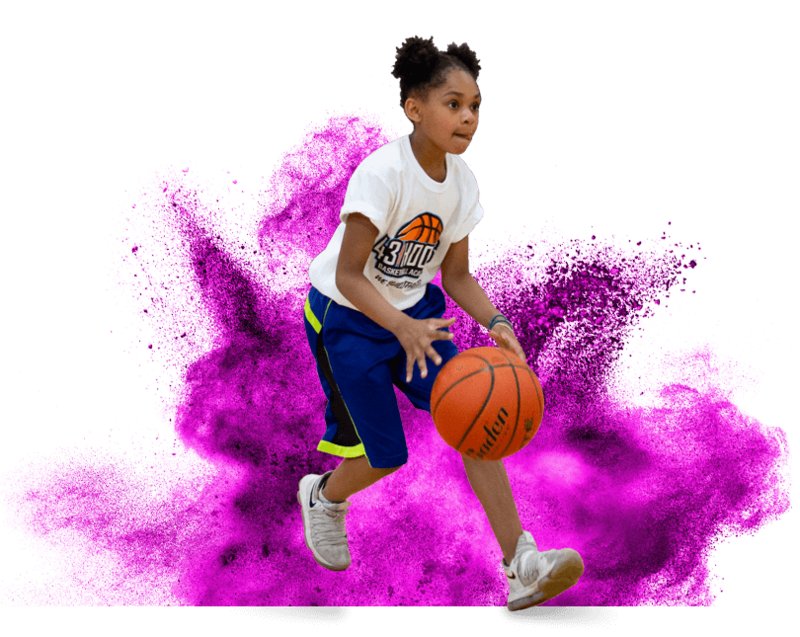 At 43 Hoops, we pride ourselves on offering the best basketball training programs, camps, and clinics in the Twin Cities. Our superior staff of basketball trainers, all of whom have extensive experience playing at the collegiate or professional level, share their knowledge and mastery of the game with every young athlete who comes through our doors. Our small group sizes and 1-on-1 training options guarantee a high level of individual attention to each of our trainees. Our home facility, the 43 Hoops Basketball Academy, features regulation-size hardwood courts and strength/conditioning equipment, as well as ample freeparking and a spacious lobby with concessions, televisions, and free WIFI. The 43 Hoops Basketball Club is the premier place to grow and develop as a basketball player. We field elite teams each year which have long been recognized as among the best teams in the nation. In addition, we assist each athlete, not only in the development of their basketball skills, but also in the development of important life skills. If you are looking for a great opportunity for boys and girls to play in a fun and competitive environment throughout the spring and summer, look no further than the 43 Hoops Basketball Club.